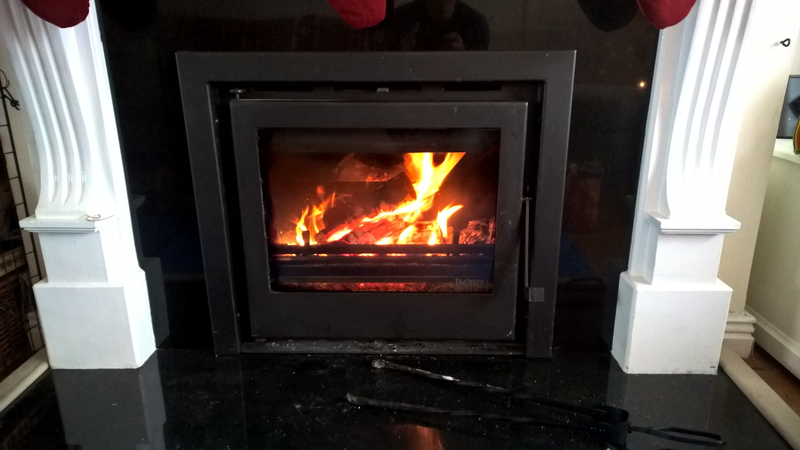 As part of Step 5 on the journey to energy freedom, I installed a Wood Burning Stove with a back boiler to reduce our dependence on natural gas for heating the house (and hopefully eventually remove it completely). That was one year ago, and so I wanted to calculate how much money it has saved in its first year of operation, and how my estimate stacked up. So here it is: The Wood Stove One Year On: The Dent in the Gas Bill. The green shaded area is where the wood (€0.01 / kWh) ate into our gas bill! (€0.09 / kWh) . The dotted line shows the cumulative savings as time went on – €968 ($1000) for the year. The total gas cost saved in 2015 was €968.90. Over all, we consumed about 20% more heat than I had anticipated, mainly because of an unusually cold February and March last year, but the wood stove really eat into the gas consumption. Ultimately, I will replace the gas boiler with a heat pump – in order to become energy independent, moving from fossil fuel consumption to electricity is key. Heat pumps also happen to be somewhat magical devices which can deliver 15 watts of heat into a house while just consuming one watt of electricity. They don’t break the laws of physics – they don’t generate the heat, they just move it from the air outside into the house by running like a fridge in reverse. But that’s for a future post! There are some interesting observations in terms of how we use the wood stove. It has different strengths and weaknesses to the gas boiler – when we light the wood stove, it heats up the house over the course of about an hour and keeps giving out heat to the radiators around the house after its last fed with wood for about three hours. 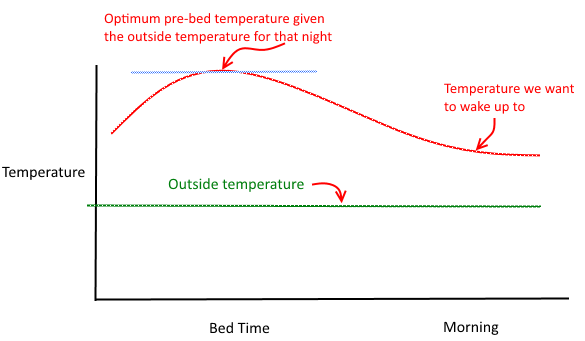 That means that because some heat is escaping out of the building, if it’s very cold at night, the gas boiler may need to come on around 4am-5am as the temperature of the house drops. This essentially represents the gas portion of our energy consumption above. However, when I noticed this, I started thinking about ways to reduce the need to use the gas boiler at night. How to heat our house with wood to the optimum temperature such that no gas heating is required during the night. I’m lucky in that I have some land from which I can get free wood, so the cost per kWh of wood worked out around €0.01 / kWh, compared to €0.09 / kWh for gas. I’ve also planted some trees to be harvested in the future for firewood. The €0.01 per kWh is comprised of the transport and processing costs. The cost of gas in Ireland includes a Carbon tax, which is likely to increase in the future, which would increase the savings of using wood. I had a lot of fun during the year preparing wood – I mostly used an electric chainsaw, for which the maintenance is very little effort. It would have been possible just to buy a cubic metre of wood each month but the fire is much more satisfying when you have done the labour yourself. It turns out that bungee chords from a bike are a great way to hold wood in place safely while chopping it up into fire logs. 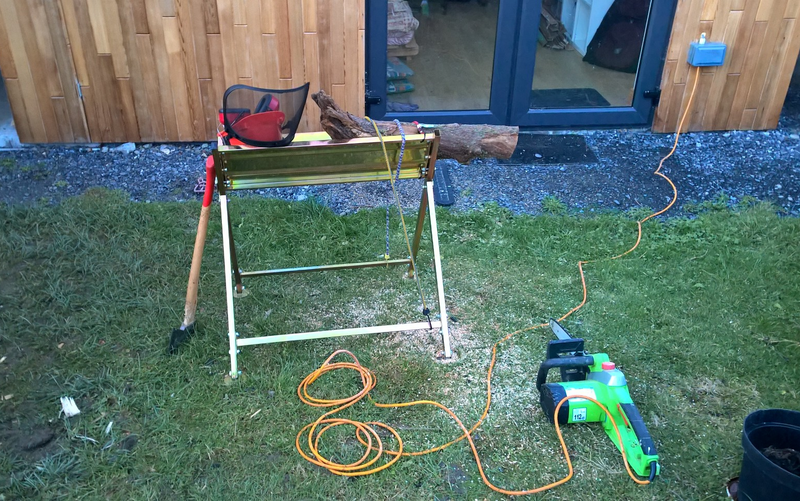 The Fire Wood Processing Setup. A fine use for bike bungee chords! This has been my favourite energy investment so far. Apart from the pretty decent return of 7.7% per anum, which is quite a bit better than any other asset investments I can find, it has a huge quality of life factor – sitting by a fire in winter is a fantastic experience that has brought the family together. A Boru 600i Insert Wood Burning Stove, with a back boiler to heat the whole house.